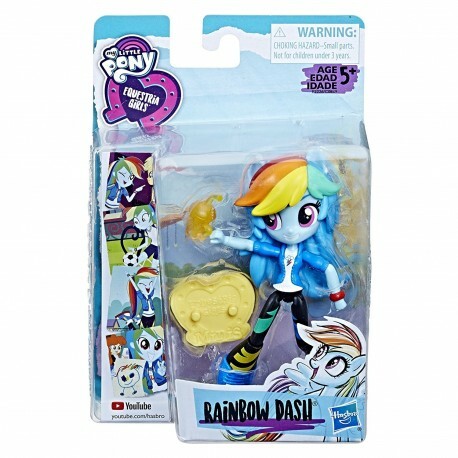 Rainbow Dash craves excitement and games, so the new theme park in town, Equestria Land, is the perfect place for her to hang out with friends! 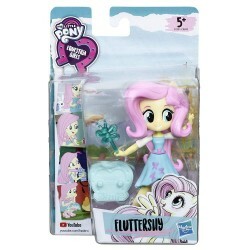 Pretend she's headed there with this My Little Pony Equestria Girls Theme Park Collection minis-doll. This Rainbow Dash minis-doll has 9 points of articulation to play out adventure-inspired poses and a souvenir cup accessory she can hold. She's dressed in a cute and stylish outfit, with colorful streaked leggings and a blue jacket. Imagine adventures full of games, prizes, and excitement! 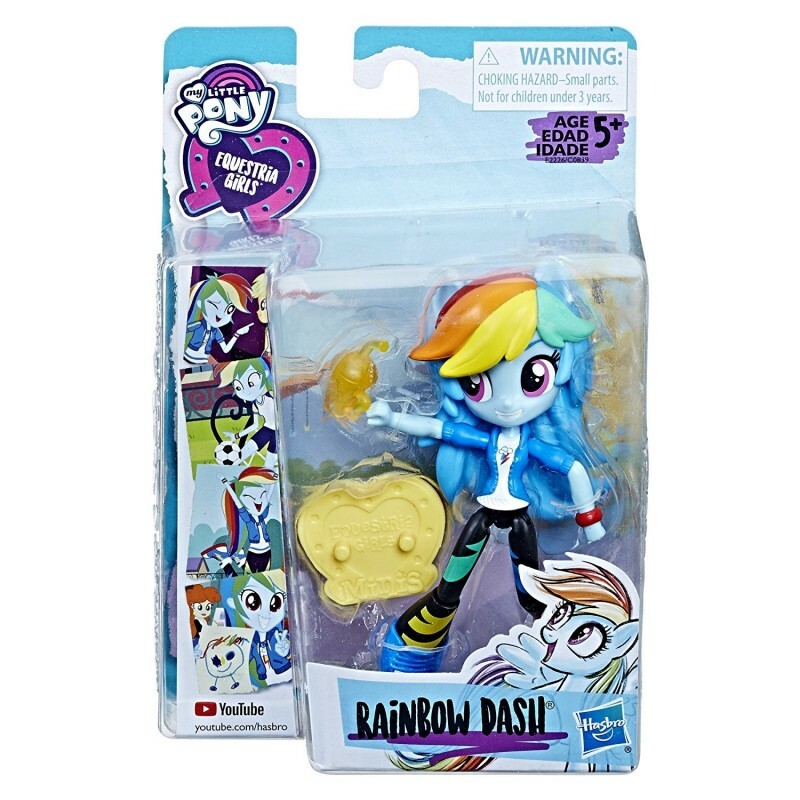 Collect all the Equestria Girls Theme Park Collection minis-dolls: Pinkie Pie, Rainbow Dash, Twilight Sparkle, Fluttershy, Rarity, and Sunset Shimmer. (Each sold separately. Subject to availability.) In the world of the Equestria Girls, the power of friendship is stronger together! Includes doll, doll stand, bracelet, and cup.